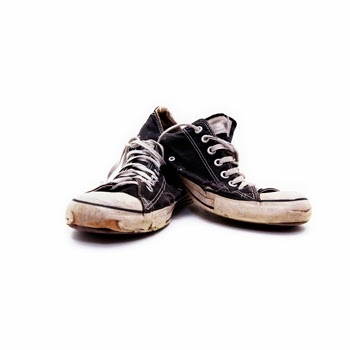 You must all have a favorite pair of sneakers, which you cannot throw, but cannot wear and keep somewhere at home – because of their awful smell – right? There is nothing to be ashamed of. The truth is that the sports shoes and especially the sneakers, which, mostly, are made of rubber material, preserve the smell of sweating, the old “aromatic” touch of your own skin and body and usually an ordinary airing on the balcony does not work.On the other side, tossing the smelly sneakers, if you still love and can wear them, is not an option. The better way of getting rid of this stinky situation is to make them smell like new ones! - The insoles – they are the most common reason to keep your sneakers smelly and unpleasant to wear. In case the insoles are too wet and the humidity cannot be overcome, just remove them and then put the sneakers to “breathe” some fresh air. Another great option is to replace the insoles with new insoles, which are specially made to protect the shoes and the feet from bacteria growth! - Natural sunlight and your home source of heating – stove, radiator and the ordinary hair drier – for example, are wonderful for your smelly sneakers. You need to know that after laundering and washing, the sneakers are not exactly freshened up. The next obligatory step is to dry them. The philosophy is the same as the one you use in carpet cleaning at home! - Freezing trick – have you ever heard of the freezing way for refreshment of sneakers? If you have not, it is time to try it, because it really works. Yes, the necessity of some special detergents is not needed, but who says that only chemical substances and professional cleaning services are working for the good hygiene? - In case you have a steam machine for your home professional cleaning of the upholstery and the rugs, use it for the smelly sneakers, too! The steam is great in killing bacteria and it does sanitise perfectly almost everything – including shoes and clothes! Good luck with your sneakers and remember – no one deserves to feel their smells, including you!